As a part of the inaugural consumer 360 event, Objective Digital partnered with Nielsen to showcase the latest in shopper research and technology. Held in the beautiful Blue mountains over three days, consumer insight gurus from across Australia and beyond took time to hear from industry leaders on a range of consumer topics. 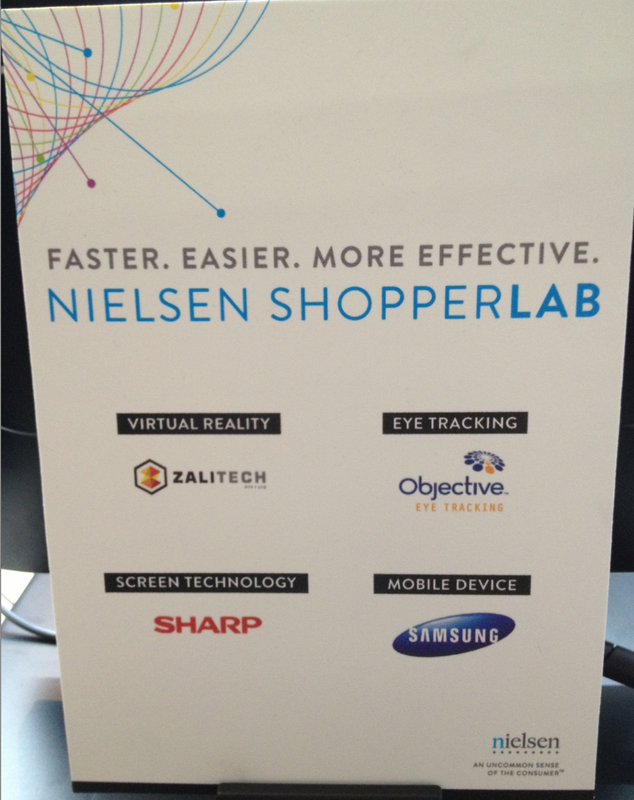 It was in this setting that Objective Digital was able to show off some of our eye tracking equipment as a part of Nielsen’s Shopper Lab. In a first for the Pacific, the shopper experience lab offers companies a chance to test designs and concepts, through actual and virtual shelves. They use a range of techniques to gain a deeper understanding of shoppers through “observation, interviews, eye tracking and neuroscience”. For more information on their lab, see their website. Teaming up with the Nielsen crew has been an excellent chance for Objective Digital to show off some of the capabilities of our systems, including the glasses and floor stand. While I can’t share many of the details of our studies, I can say it’s been an absolute pleasure working with the Shopper team at Nielsen. Their innovative thinking and use of technology is something we are proud to be a part of! This entry was posted in Eye tracking and tagged consumer 360 event, Eye Tracking, Nielsen, Objective Digital, shopper research by Objective Experience. Bookmark the permalink.